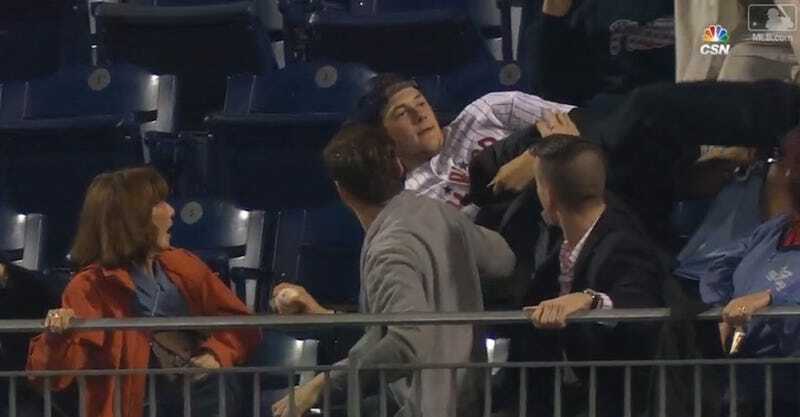 In the sixth inning of last night’s game between the Phillies and Rockies, Freddy Galvis fouled a Jeff Hoffman fastball into the second deck behind home plate. That’s where Josh Persing, owner of a Brad Lidge jersey and a thick Philly accent, was waiting to pounce. Josh is a good Phillies fan and a good Philadelphian.